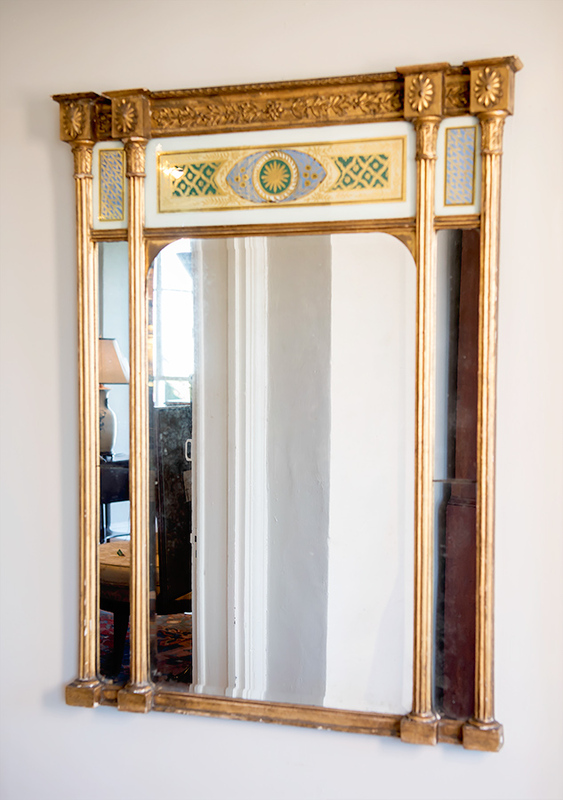 Fine Federal Giltwood Carved Mirror With, The Carved & Gilt Wood Crest & Frieze Above Eglomise Decorated Panels. 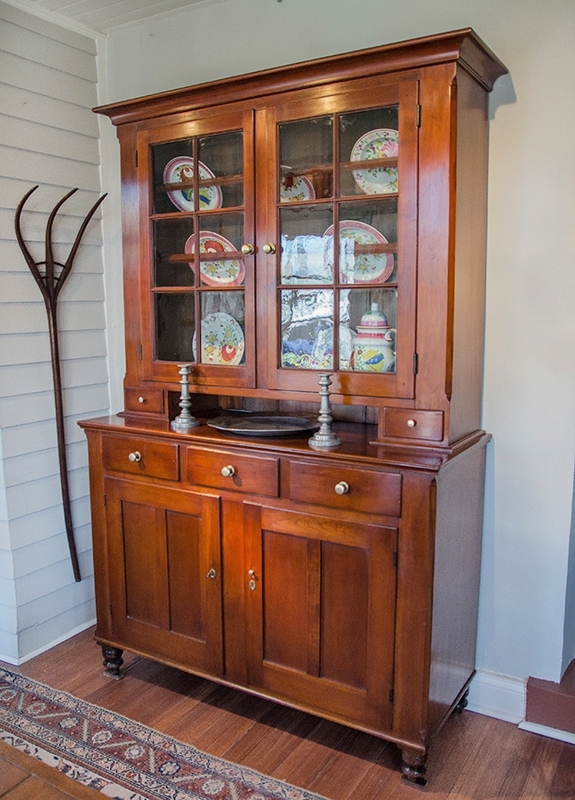 Federal Figured Mahogany Sewing Stand, The Lift Top With Ovule Shaped Reeded Edge Opening To Compartments Over A Conforming Reeded Base Featuring A Drawer, Raised On Turned Slender Tapered Legs. 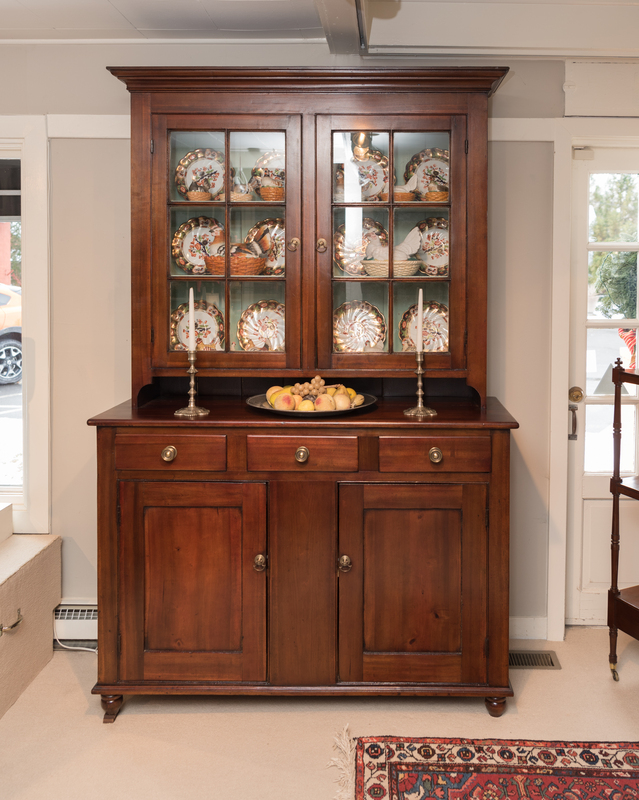 This Set Of Choice Federal Tiger Maple Chairs Is A True Find. 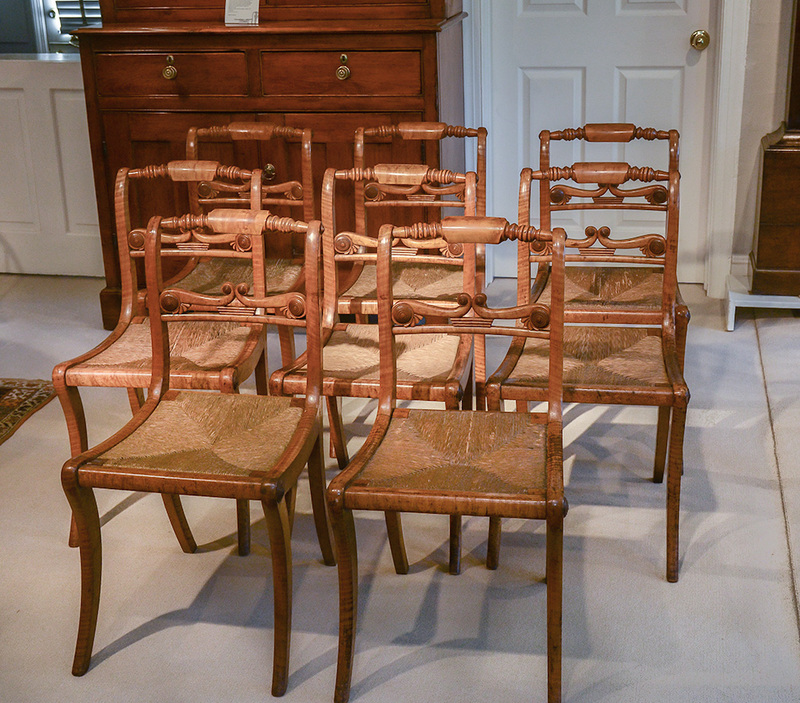 The Fine Quality And Exceptional Detail And Wonderful Condition With Great Early Surface Make These Chairs Very Desirable! 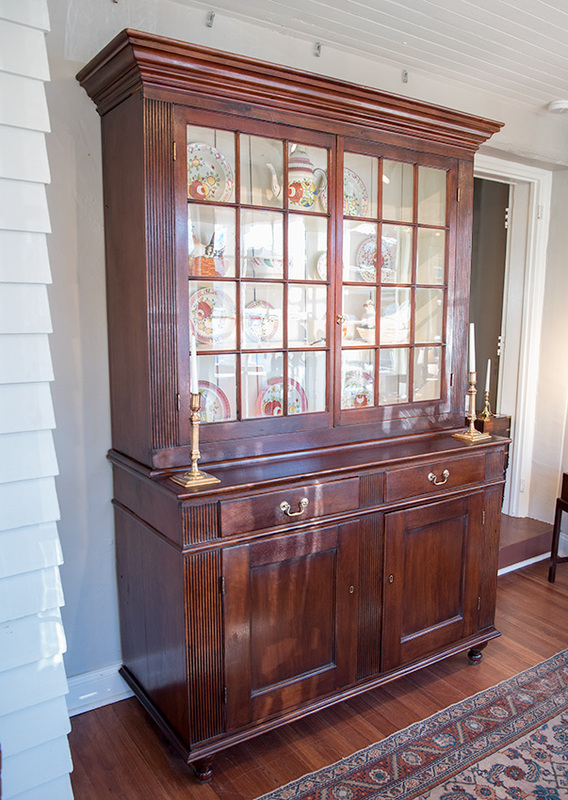 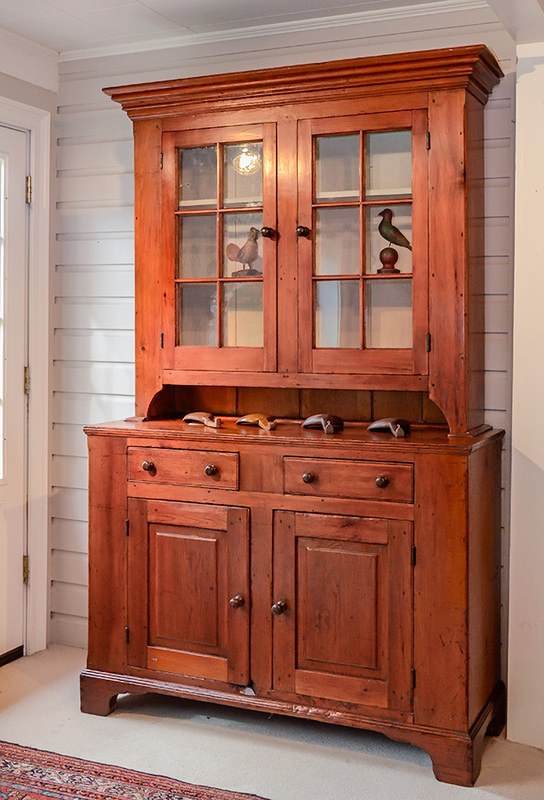 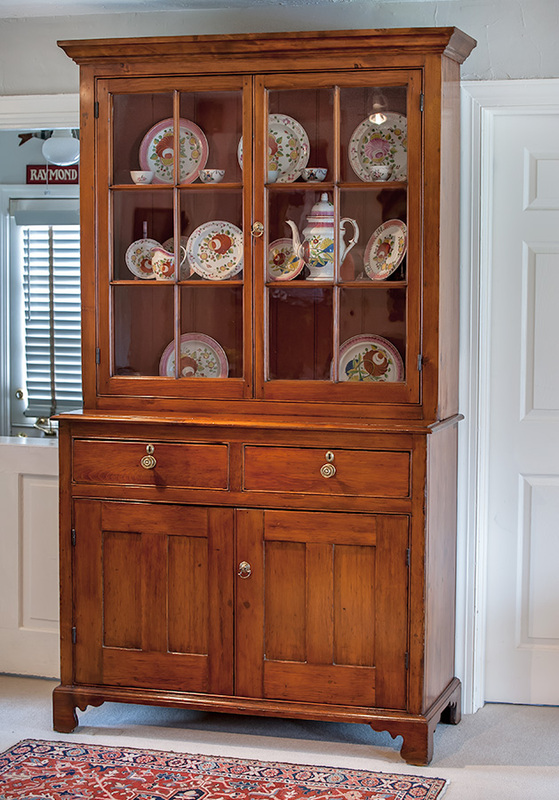 Federal Pine Step Back Cupboard In Two Parts: The Upper Section With A Stepped Molded Cornice, Above Two Glazed Mullioned Doors, Opening To Reveal Fitted Shelves.